With my camera, of course. I had taken the video camera (Panasonic HDC-TM90) which is my go-to camera having close/long/video capabilities, gives decent photos and is easy to use. 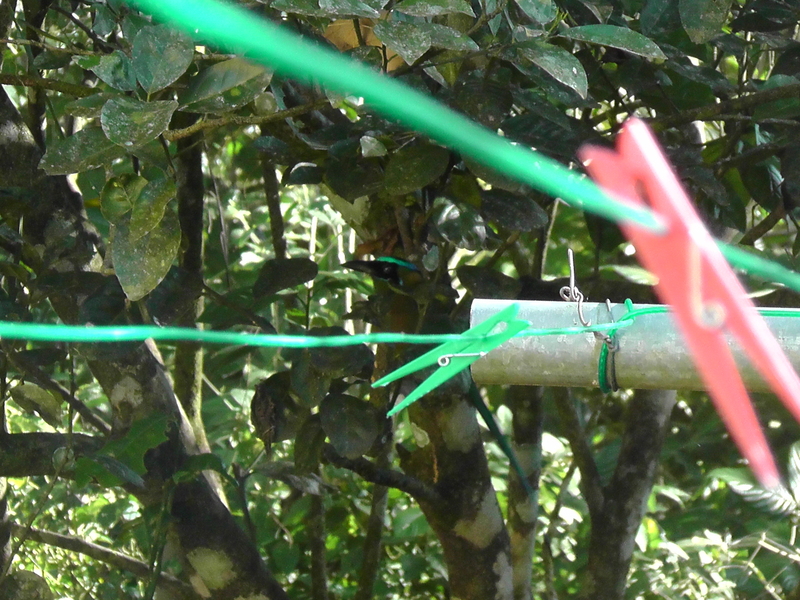 I was trying to get really close to a small dragonfly on the top of a clothes pin on the line when my eye caught a movement about 20 feet away. I could barely see what looked like a bird in our orange tree but managed to finally get it in the display. 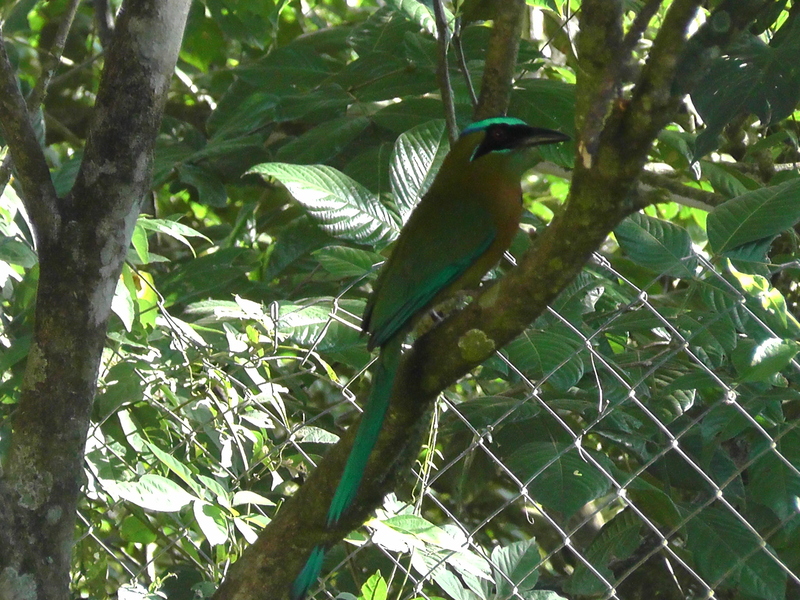 My wife Kris came out right at the time I was shooting and recognized the bird as a Turquoise-browed Motmot which we had seen a pair of a month ago. See if you can spot it in my first attempt to close in on it. 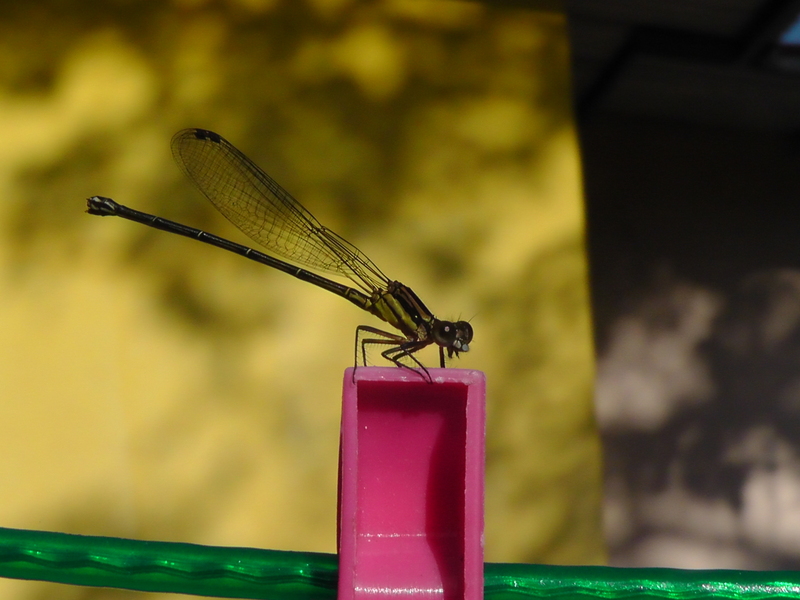 I finally got a couple of shots before it flew back into the forest that goes down to the river behind our house. What a pretty bird, I love seeing them! They seem to like to switch their tail back and forth, at least this one did. 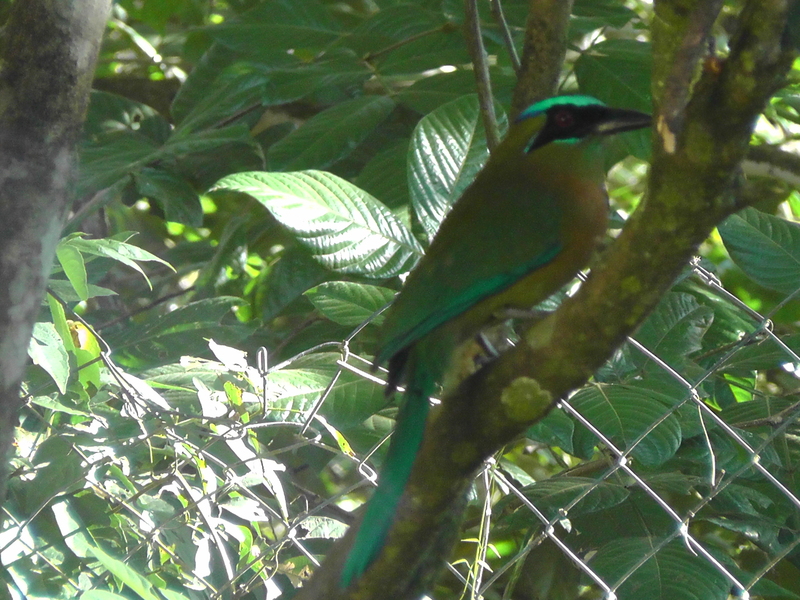 No one knows when a photo op will appear but I was happy that I had the camera in my hand when out of the forest came the Motmot. 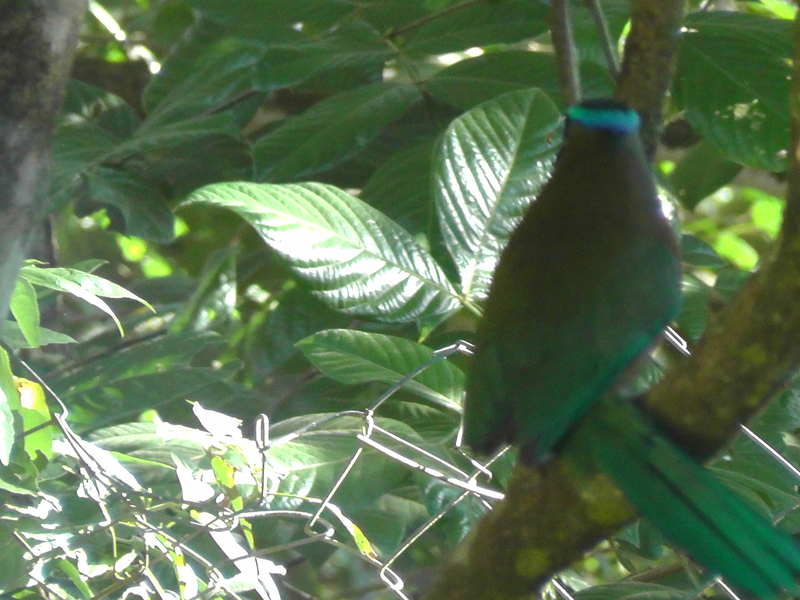 I shot the Motmot. Enjoy the shots. Posted on January 20, 2013 by joeltc1. This entry was posted in Uncategorized and tagged Mot Mot, Panama, Retiree. Bookmark the permalink. 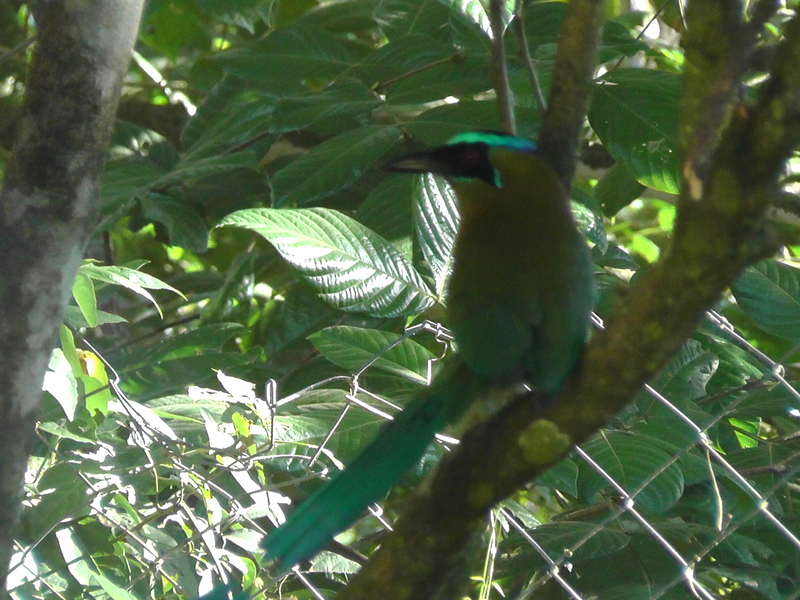 the motmot is one of my most favorite birds; it’s so amazingly handsome, and hat fly-swatter tail is so unique!